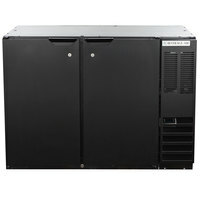 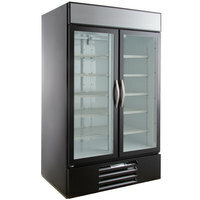 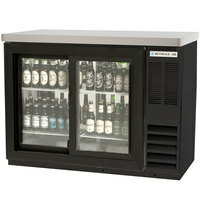 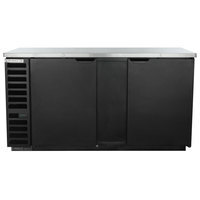 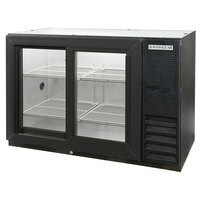 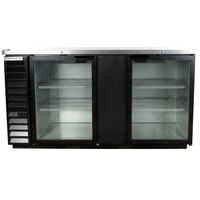 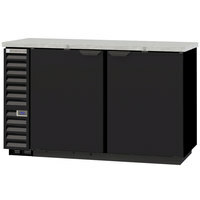 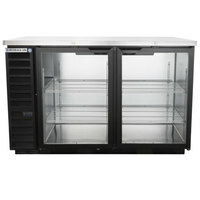 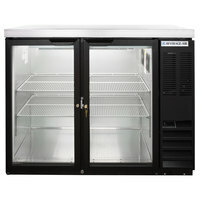 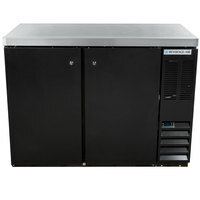 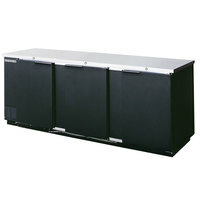 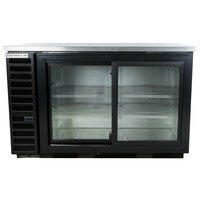 plus Beverage-Air MMR44HC-1-B MarketMax 47" Black Two Section Glass Door Merchandiser Refrigerator - 45 cu. 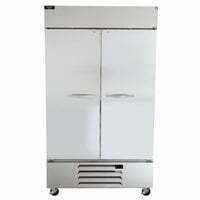 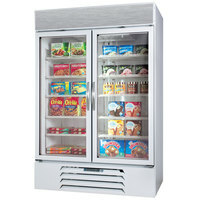 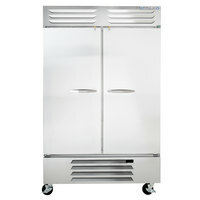 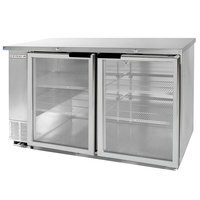 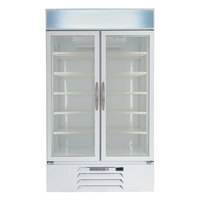 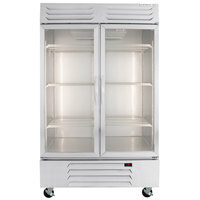 ft.
plus Beverage-Air MMR44HC-1-W MarketMax 47" White Two Section Glass Door Merchandiser Refrigerator - 45 cu. 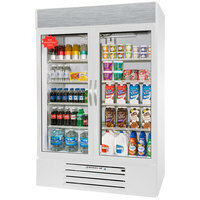 ft.
plus Beverage-Air MMR49-1-W-EL-LED MarketMax 52" White Two Section Glass Door Merchandiser Refrigerator with Electronic Lock - 49 cu. 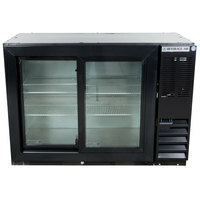 ft.
plus Beverage-Air MMR44-1-B-EL-LED MarketMax 47" Black Two Section Glass Door Merchandiser Refrigerator with Electronic Lock - 45 cu. 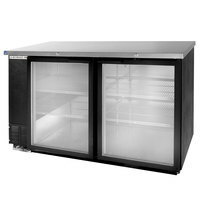 ft.
plus Beverage-Air MMR44-1-W-EL-LED MarketMax 47" White Two Section Glass Door Merchandiser Refrigerator with Electronic Lock - 45 cu. 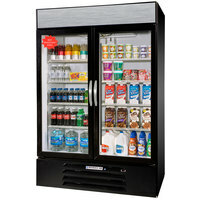 ft.
plus Beverage-Air MMR49-1-B-EL-LED MarketMax 52" Black Two Section Glass Door Merchandiser Refrigerator with Electronic Lock - 49 cu. 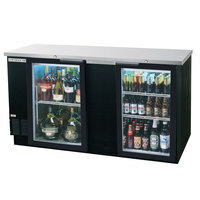 ft.
A 2 door beverage cooler gives you adequate space to store bottles, cans, and more of your most popular beverages without taking up all of the available space of your back bar. 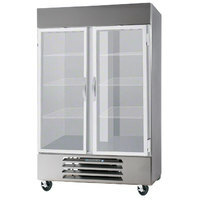 Here, you can choose between a 2 door glass cooler or one with solid doors to best suit your preferences, and many models come with a flat work top your staff can use as a staging area. 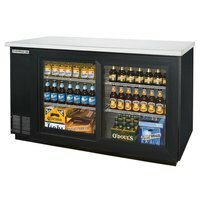 In our selection, you can find a 2 door beverage cooler that comes with either swing or slide doors to best suit the space available behind your bar. 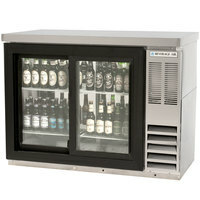 For convenience, you can also pick a 2 door glass cooler that comes with adjustable shelves, allowing your bartenders and customers to enjoy the full view of your stock. 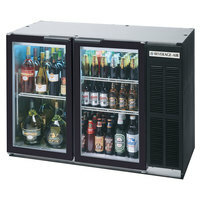 With quality models from popular brands, you're sure to find a 2 door cooler you like.